Imagination leaps with the kangaroo’s hop. Wonder follows the wandering wombat and echidna. Minds are stimulated by the playful platypus. And hearts are lifted with thoughts of gentle koala hugs. 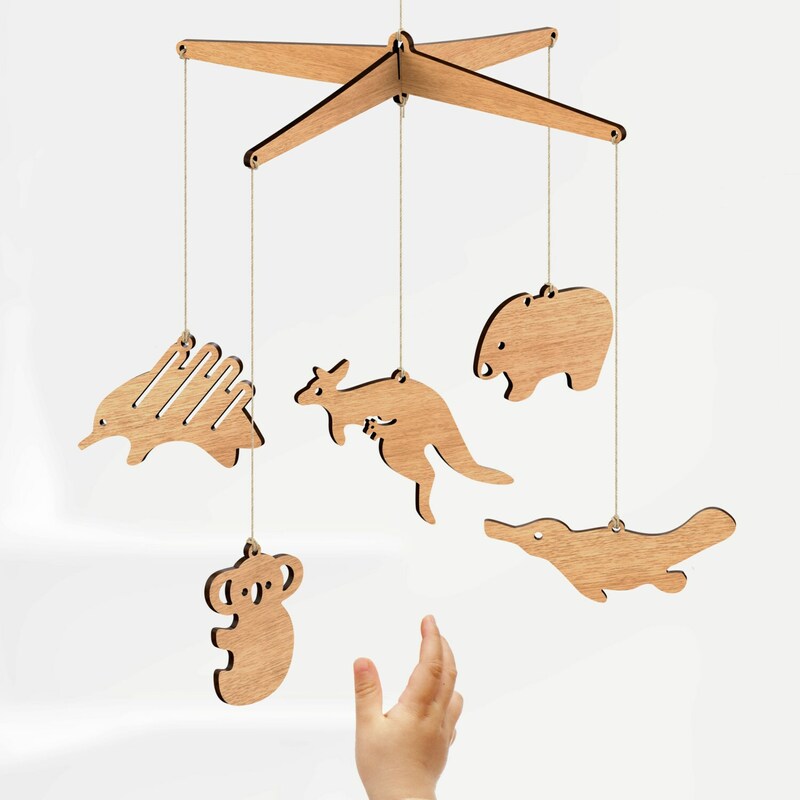 The inspiring animal kingdom comes to life with the Australian Animal Baby Mobile. 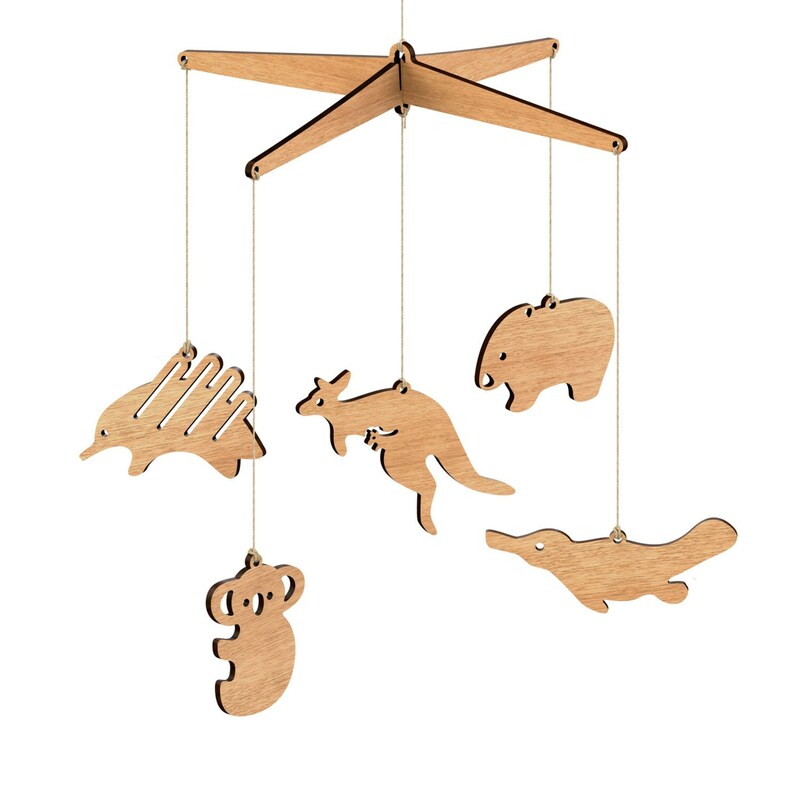 Each mobile comes with a kangaroo, koala, platypus, echidna, and wombat. As described - very cute and came to US quicker than when my bestie in Aussie land ships so major plus on fast shipping. 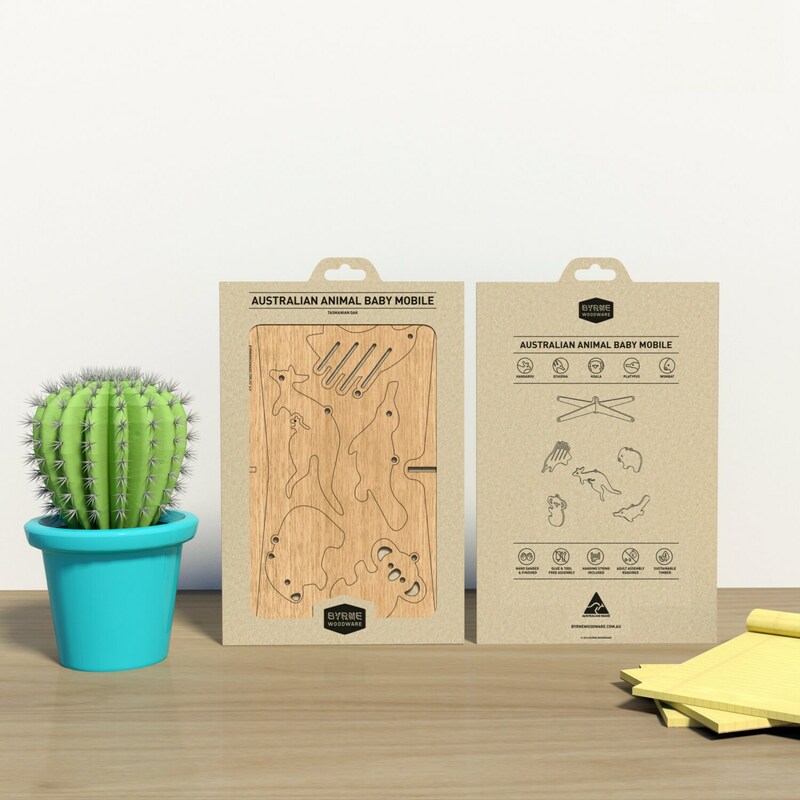 The mobile was simply and beautifully packaged. It exceeded my expectations! The shop owner was very helpful when I let them know I had not received the package in the US from AUS. I definitely recommend this shop!